Exhibit A to the Complaint shows pictures of these companies’ employment ads. The Complaint and Exhibits showing the discriminatory employment ads can be found here. 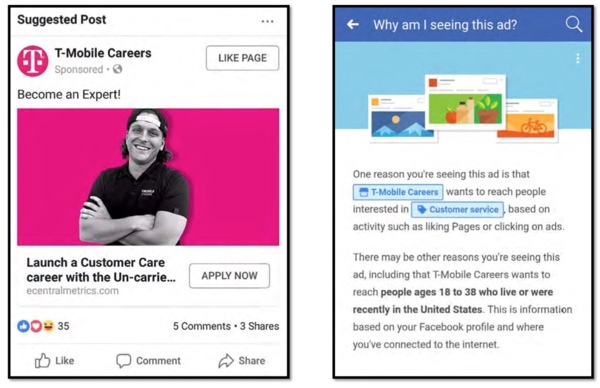 Issue an injunction to stop T-Mobile, Amazon, Cox, and all other large employers and employment agencies from continuing to engage in acts that violate anti-discrimination laws. Require the defendants to compensate older workers who have been denied job opportunities.